into one music-based blog post. It would be hard to fit (a summary of 2015) into one post, so today, it will be a challenge. Actually it won’t, really: most of you know ‘90s music; all of you have an opinion- it does not need too much explanation. I have been thinking a lot (about bygone music): harking back to good times; when there was some wonderful sounds/acts coming through- a formative time that contains great memories. I like a lot of today’s music; its best and brightest: to me, the finest music emanates from the underground; the SoundCloud-based artists that sit away from the charts; do not get played on ‘Radio One- and have a lot more quality at their disposal. The mainstream strikes me as rather mediocre and unreliable: some weeks you have great albums produced; the next (week) none at all. 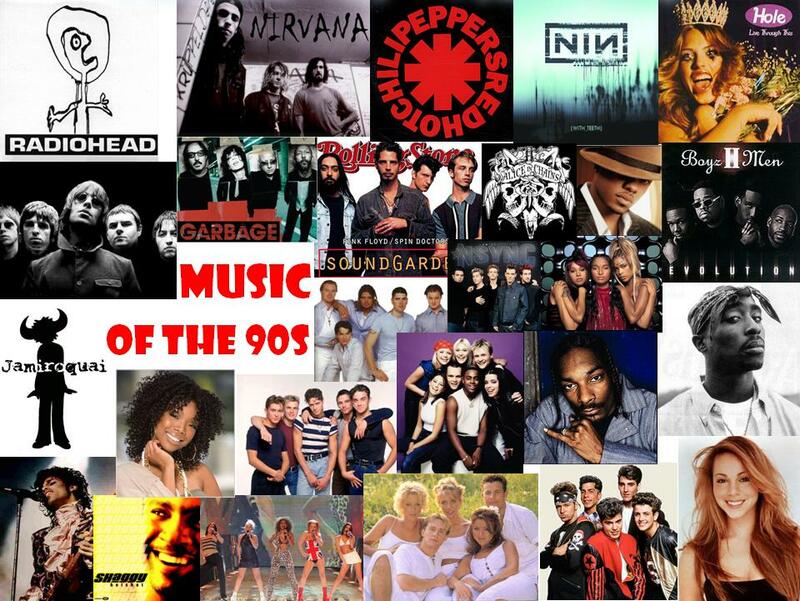 I know the ‘90s was not a flawless decade- there were bad weeks/months for sure- yet the fact remains: it produced some of the world’s greatest acts; spawned some all-time classic albums- the ‘90s music has inspired so many modern-day artists. Some would argue the ‘60s was the best decade for music- aside from the obvious legends; it is an overrated era- others would say the ‘70s- finer still yet still lacking that overall diversity and consistency. Perhaps an odd place to lead-off yet a relevant one: today’s Dance music seems to appeal to a niche audience; popular to particular people- few tracks and artists tend to unite the population. With the proliferation of nightclubs, Dance music has had to conform: the music seems dumbed-down and basic; with little cross-over appeal and nuance, it is designed to satisfy sweaty club-goers: the importance of melody and memorability has been lost. Too hard and heavy; lacking real soul and heart, the ‘90s did it best. During the 1980s the rise of electronic-based music spawned some great artists; that popularity and momentum parlayed into the ‘90s- a scene was born and solidified. From the start of the decade, electronic sounds went into Dance music: classics and one-off gems were produced. My favourite song of the genre- and one of the most addictive tracks of the period- was Rhythm is a Dancer (by German Euro-Dance collective Snap!). Hugely anthemic and addictive, it remains a legendary cut- during a time when Dance music started to entrance the masses. Where Euro-Dance is less known/popular now- we don’t really have a separate genre; Dance/Electronic music is more integrated- Rhythm is a Dancer is that rarest of songs- it is not niche; its appeal is singular and universal- a song that appeals to (those who grew up during) that time; to those growing up now- its appeal will never wane. Deliriously energetic and boasting a humungous chorus, it inspired a wave of similarly-ambitious acts. Dance/Euro-Dance was not defined by novelty and one-off treasure: it was a culture that grew and inspired; at a time when the music was more innocent and less controversial (in this genre at least). Ride on Time (by Black Box) is another diamond of the time- released in 1990; it is one of the decade’s most stunning Dance numbers. As the decade developed, Electronic music started to build and flourish: it became affordable to produce Electronic jams; bedroom-born artists were coming from- the music developed from the dancefloors; made its way to the mainstream- the likes of Madonna and Moby were among the champions. By 1999, Moby turned in Play: an album that stunned critics and fans- it went on to become the biggest-selling Electronic/Dance album of the 1990s. Brimming with genius samples and stunning genre crossover, it drew the decade to a spectacular close. You cannot mention ‘90s music without including Grunge: a decade that seems retro and rare (now), the genre hit its peak (around the 1990s). Having originated in the mid-‘80s- the movement was developed in Seattle- it hit its stride the following decade. The genre struck a chord was disenfranchised teens and young listeners: dealing with apathy and social alienation, Grunge was their statements- the bands spoke for them; the band leaders were just like them. To me, the three champions/finest acts of the Grunge kingdom (during the ‘90s) were Nirvana, Soundgarden and Pearl Jam. You can mention other acts- Alice in Chains come to mind- but these U.S. giants defined the scene- Nirvana were the band that led the regal charge. With Nevermind released in 1992, the decade started with a bang- that album remains one of the greatest ever produced. Defined by epic riffs, throat-scraping anthems and rally cries to the affected- the album resonated with those feeling detached and angry. Whilst Nirvana went onto create an album heavier and more genuine (In Utero); Nevermind remains their most popular album- its lead-off track stands as Nirvana’s most definitive moment. Smells Like Teen Spirit is the song everyone associates with Nirvana: perhaps an albatross (for the band); it stands as a defiant testament- one of Grunge’s most staggering moments. Having seduced and stunned the critics, Nirvana were the Grunge champions. Although there were some knuckle-dragging Grunge acts- that appeals to the lowest-common-denominator. Concerned with little more than aimless riffs and anodyne sounds, they composed the minority. The genre is often perceived as simplistic and unintelligent: if you consider acts like Soundgarden and Pearl Jam, you would have to reassess your perceptions. During the ‘90s, Soundgarden released two era-defining albums: Badmotorfinger and Superunknown- they released Down on the Upside in ’96; it never reached the giddy heights of its predecessors. Badmotorfinger remains a raw and visceral experience: Chris Cornell’s voice was at its wracked peak; an emphatic weapon it was backed by stunning band interplay and intelligent lyrics. Tracks like Jesus Christ Pose investigated the M.T.V.-generation bands- that stood in a messianic pose- with ego and arrogance to spare. New Damage was the rapturous swansong; Outshined one of the album’s highlights- the line “I’m looking California/and feeling Minnesota” remains the album’s stand-out lyric. On April 8th, 1994 Kurt Cobain’s body was discovered: with his death, Grunge was rocked; the genre lost its leader- the world was in morning. From that moment, a decline occurred: with Nirvana’s front-man gone, fellow bands were on shock; the music scene was rocked to its core- it signaled the down-shift and entropy. In the midst of tragedy and heartache, Superunknown was released: Soundgarden’s finest album, it both breathed new life into the genre (until its death a few years later) and channeled Cobain’s spirit. The album’s key track was Black Hole Sun: a song that looked at the fall-out and shock. Although written before Cobain’s suicide- Cornell claimed the song came from dreams and dreamscapes; experimenting with words and ideas- it can be applied to the Seattle icon. That semblance of darkness and pain; the need to “wash away the rain”- Black Hole Sun seemed like a Grunge epitaph. Pearl Jam completed the Grunge triple allegiance: their album Ten remains one of the decade’s best; it inspired legions of new bands- and remains the band’s career high. Compelling, masterful and unique, the album spawned classics like Black, Jeremy and Even Flow. The economic track-listing- most titles were one or two-worded- was coupled with stunning songwriting; add in wonderful lead vocals (by Eddie Vedder) and gutsy perfoirmances. Towering, monumental and epic, the album (released in 1991) remains one of Grunge’s great. The genre exists today- a lot of modern-day acts are keeping the flame alive- yet its spirit lived and died with Cobain. 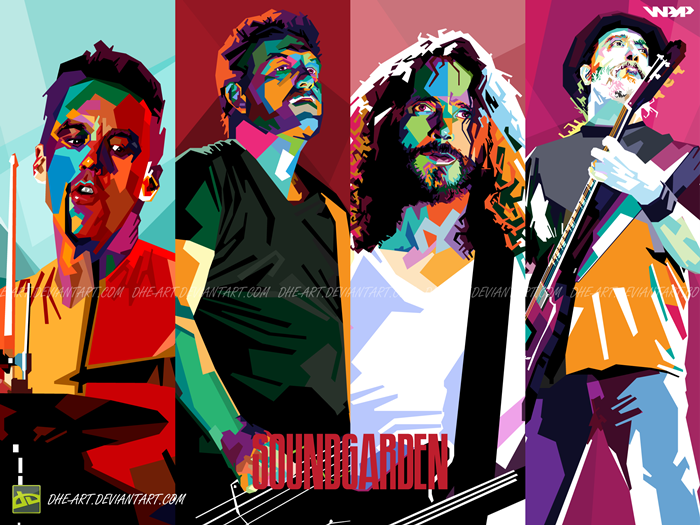 Along with Nirvana, Soundgarden and Pearl Jam, the genre spawned tremendous music and moments- another side to a multicoloured decade. Perhaps the defining genre of the ‘90s, it put British music at the forefront: epic battles were formed; stunning music came forth- one of the greatest musical movements of all-time. Anthem-making and hugely creative, (the ‘Britpop’ era) spawned some of the decade’s best albums. Whereas Grunge was America’s- and represented the voice of the youth- ‘Britpop’ was the British equivalent: a happier, more uplifting comparison, it was defined by effusive and rousing tracks. The scene was dominated by two groups: Blur and Oasis. On their heels, the likes of Suede, Supergrass, Manic Street Preachers and The Verve campaigned. Before mentioning the Oasis vs. Blur issue; it is worth looking at the culture’s finest- acts that helped shape it into something monumental. Inspired by the Rock music of the ‘60s, ‘70s and ‘80s- and leading-on from the Madchester scene- Suede were among (the most sparkling proponents). Their self-titled album (released in 1993) boasted poetic lyrics and Smiths-inspired motifs. Led by Brett Anderson’s unique voice songs like Animal Nitrate and The Drowners burrowed into the nation’s subconscious. Theatric and grand, Pop-wise and catchy, the band created one of the jewels of the ‘Britpop’ era. To me, Supergrass were one of the ‘genre’s’ best examples: their youthfulness and insatiable energy was only matched by their stunning songwriting and immense ambition. If you look at their two finest albums- their ’95 debut I Should Coco and the 1997 follow-up In it for The Money- the band created some of the decade’s most memorable songs. From their debut we had Caught by the Fuzz; the irrepressible Lenny- plus their peerless track, Alright (that defined ‘Britpop’ within 181 seconds). In It’ spawned Richard III and Going Out; the wondrous Late in the Day- the glorious Sun Hits the Sky. Packed full of nuance, range and passion, Supergrass remain one of ‘Britpop’s most underrated acts- were it not for the likes of Blur and Oasis; they would have been crowned ‘Britpop’ kings. You cannot examine ‘Britpop’ without mentioning its parents: Oasis and Blur. I am not sure which is the mum; which is the dad- depending on your background/location/personality depended on which band you favoured. Being a Surrey-born, working-class ‘nerd’ it has to be Blur: the band spoke to me more directly; their music connected in a way (Oasis’ didn’t). In 1995, the battle reached its climax: Blur’s Country House went against Oasis’ Roll with It. Although Blur won the honours; it was an exciting time to be alive: the music world would never witness a shaping-up like it; when the media and fans got on board- clans were united and divide. Whilst it balkanised music-lovers, it was all done playfully and in good spirit: you were either on Team Oasis or Team Blur. Aside from the media-heavy speculations; the Damon Albarn v. Noel Gallagher spats- tremendous albums were produced. Oasis produced two of the 1990s’ best albums: Definitely Maybe and (What’s the Story) Morning Glory? Although Noel Gallagher cribbed from other acts- from The Beatles to T-Rex- and Liam Gallagher saw himself as John Lennon-reincarnated; you cannot deny their influence and genius. 1994’s Definitely Maybe produced Rock ‘n’ Roll Star; the hypnotic Supersonic- Live Forever was/is their finest achievement. The band’s follow-up perhaps surpassed their debut: with Roll with It, Don’t Look Back in Anger sitting alongside Champagne Supernova and Wonderwall- (What’s the Story)’ remains one of the ‘90s most audacious albums. That 1994/’95 period spawned some of history’s best albums: Blur were not to be outdone. Whilst Oasis crafted their masterpiece, Blur honed theirs- the biblical Parklife. Having begun life before Oasis- having faltered on their debut album- Blur hit their stride here. Parklife defined the zeitgeist; remains an era-defining masterpiece: the tracks were joyous and hands-aloft; sweeping and emotive- the songwriting was beyond comparison. Boys and Girls is quotable and cautionary- looking at the morons of the 18-30 scene; those who swapped sperm more than conversation. Mini-operas like To the End and End of a Century showcases Albarn’s perceptive and original voice; his tight and ubiquitous lyrics- the songs spoke to a generation. Throw in the heartbreaking Badhead; spoon some the bouncing London Loves- cannot forget that Phil Daniels-narrated title track. Ending with the epic and sweeping This is a Low and it was Definitely Maybe’s southern riposte. Their 1995 follow-up did not match Oasis’ sophomore release: to me, The Great Escape is no shame; it boasts some of Blur’s finest tracks. Charmless Man and The Universal show Blur’s wit and cutting (observational) bite; their swooning and sorrowful side. Inspired by the competiveness and communal influence of ‘Britpop’, Blur created a truly great album- its second track would form one-half of ‘Britpop’s most epic showdowns. Whereas Grunge represented the heartaches, anxieties and struggles of America’s youth; ‘Britpop’ reflected a sense of British optimism and unity- on the periphery, something extraordinary was happening. Whilst the ‘90s Dance scene was evolving and growing, the Hip/Trip-Hop movement was producing some heroes. Some of the most innovative and diverse genres, everything from Dr. Dre- and his 1992 meisterwerk The Chronic- to M.C. Hammer was laid bare. With West Coast Hip-Hop going against East Coast (The) Notorious B.I.G., Hip-Hop grew to be the ‘90s biggest-selling genre (by the middle of the decade). As the decade proceeded, Rap artists came into the fore: female leaders like Lauryn Hill and Queen Latifah came through. Not just inspiration to the women of (the music world) their music crossed gender lines- and compelled a generation of up-and-coming acts. Away from Rap’s hard and heavy slam, girl bands like Salt-N-Peppa and En Vogue coming through- and producing sharp, sassy and electrifying beats- the scene was jam-packed and exhilarating. Across in the U.K. we were showcasing some innovative and genius-minds Trip-Hop acts. 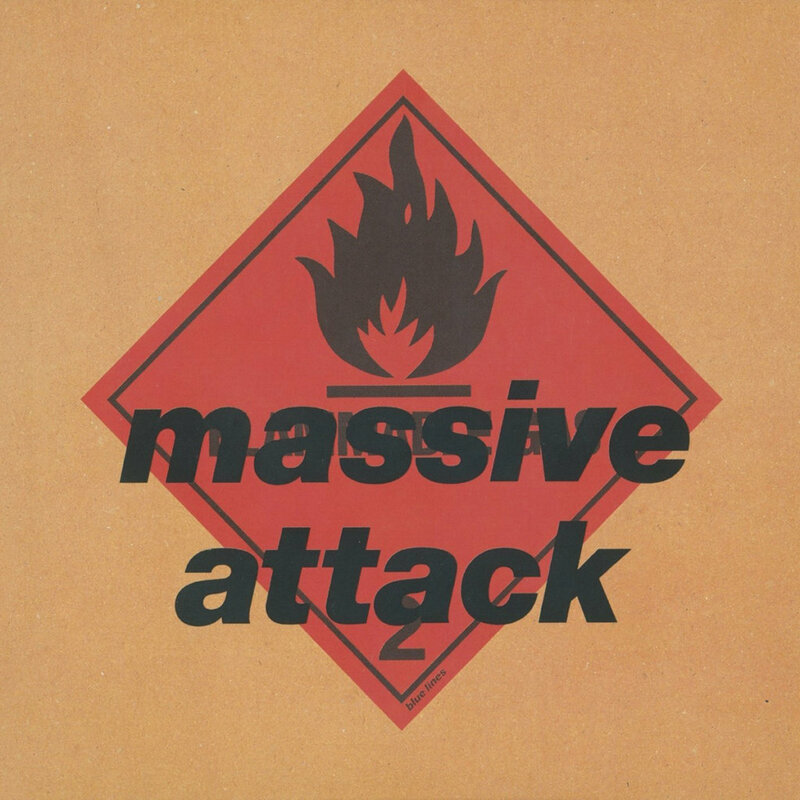 From Bristol, came Massive Attack: formed in 1988, the band produced one of the decade’s finest albums- the masterful Blue Lines. That Trip-Hop/Experimental album was not only a nine-track masterpiece- that mixed sounds and sensations- but highlighted the effectiveness of sample-splicing- the album used existing songs/snippets to dazzling effect. Take decade-defining songs like Unfinished Sympathy into the arena- and its unbeatable confidence and entrance- look at Safe from Harm and One Love (two distinct and staggering cuts) and you have a must-own L.P. Bristol also produced the Somerset-named Portishead: a fellow act that spawned a Trip-Hop masterpiece. Although Dummy is not quite up to Blue Lines’ standard- hard to actually level it to be fair- the album saw the Beth Gibbons-fronted band produce something of-its-time. Considered one of the ‘90s’ essential albums, tracks like Sour Times, Glory Box and Mysterons are recognised by all- even now they summon up recollections and happy memories. Ice-cold and hot-headed; emotive and tear-stained; black-and-white (yet bursting with explosive colour) the album was a kaleidoscopic statement of emotion and passion- no surprise it remains such a memorable album. The Trip-Hop scene spawned some distinct acts: in the U.K. the likes of Massive Attack represented hard and emotive music; in the U.S., the likes of The Notorious B.I.G.- and his New York Hip-Hop attacks- was more wordy and lyrics-based; representing the sounds of the streets (and the struggles of his peers) it was a distinct break-away- something that was foreign and alien in the U.K. With the genres producing some startling albums, it showed the ‘90s has endless appeal and breadth. I stated in the opening- it would be hard to assess all of the decade’s best- and stand by that- not to say I am going to end it there! Away from the main genres/players a lot of (other) great music arose: stunning Pop sounds, classic artists hitting their peak- greatly innovative acts doing their thing. If you take the first point- and look at the Pop of the ‘90s- perhaps The Spice Girls are the most recognisable brand. Aside from the quasi-feminist phenomena of ‘Girl Power’- something that seems quite nauseating in retrospect- their music (thankfully) was much more credible. I am not (the girls’) biggest fan yet bow to their prowess: you cannot ignore their effect and quality. Songs such as Wannabe and Spice Up Your Life remain (rightful) classics; their 1996-album Spice is a solid and tunes-laden accomplishment. The girls not only heralded a wave of female-fronted Pop might; they inspired a wealth of young bands- that effect is being felt today; the number of Spice Girls-influenced bands today is huge. Away from the Union Flag-laden Halliwell swagger, the Pop world was defined by its consistency and strength. More reliable and fascinating (than today’s rather ho-hum offerings) U.S. artists like Sheryl Crow and Fiona Apple were coming though. With Crow’s Friday Night Music Club; her awesome self-titled album: between them songs like All I Wanna Do, If it Makes You Happy and A Change Would Do You Good among the scores, the young American burst into public consciousness. Leading the intelligent and nuanced Pop elite, Crow was joined by Fiona Apple: in 1998 she released Tidal: an album filled with supple and mature tracks; rich and deep compositions- the teenager was to remain a secret no longer. In the ‘90s Michael Jackson was still ruling the Pop scene. Having passed his glory days- Thriller remains his defining album; Off the Wall his most underrated masterpiece- History was unveiled: the 1991-album was greeted with applause and fervency. With few minor niggles- a little over-long and overproduced- the album is a hard and heavy attack: blistering jams and assaults; smooth sensual gliders; wonderful Jackson-esque anthems. With tracks like Black or White ranking among Jackson’s best; the furious Jam kicking (the album off to) a wonderful start- the album showed the King of Pop had lost none of his touch. Drawing in new collaborators and styles- this album showed more Rap/Hip-Hop edges- Jackson’s songs are more accusatory and sharp; his voice firmer and angrier- his pen more varied and agile. During the late-1990s, U.S. Pop was particularly productive: acts like Britney Spears and Backstreet Boys came through; lesser acts such as Hanson plied their trade- a varied mixture that supplied something for everyone. Whilst today’s (U.S. Pop) market has a different sound/componence; there is no denying it derived from ‘90s acts: you cannot understand the influence/effect (the acts had). Aside from the Pop legends of all, a lot of other (great) music was coming through: from British acts Seal and Jamiroquai; Hard Rock acts like Guns N’ Roses and The Black Crowes (from the U.S.)- a smorgasbord of sounds and sensations. Perhaps I am a little biased: being born in 1983, I grew up with ‘90s music- it sound-tracked my formative years; scored my childhood- formed some of my earliest memories. For me, the 1990s music scene is synonymous for two reasons: its wealth of diversity and the staggering quality. I have touched on a few genres/acts: the truth is; there is a lot I have missed out/couldn’t fit in. If you look at today’s scene- and the music of 2010 onwards- what is the best we have done? There are none of those great ‘Britpop’ battles- just spats between rappers and female Hip-Hop acts- and few enduring albums. Just casting my mind around: you have the novelty songs and Dance anthems; the Pop classics and Rock epics; the Hip-Hop wonders and Neo-Soul smooth. There is no denying how full and variegated (the ‘90s is): that wealth of difference and range has affected music forever; created and inspired terrific acts- you can keep your ‘60s music! The quality helped to enforce this point: sure, there was some complete crap (as there is in any decade) yet the 1990s has an ear and eye for quality control- something the modern music scene could take note of. Essentially, the ‘90s represented something wonderful and life-changing: the music is still in my head; the memories are burning bright. Everyone has their own views- when it comes to the best decade for music- yet people of my generation have no doubt; the 1990s was an unimpeachable milestone; the finest time for music- we will never see a decade like it. Just sit and think of individual songs- I am thinking about Seal and Snow- and you get a host of weird, wonderful (and unique) brilliance. The Bends by Radiohead: simple as. We all have our own favourite and opinion: I can understand some choices- I love Nevermind and Urban Hymns; have plenty of time for Ill Communication and Dookie- but none come close to Radiohead’s finest. Not only is a tremendous stand-alone album: it was the start of an unmatched 1-2-3 from the Oxford band; they followed-up with Ok Computer; then Kid A- three peerless, genius albums came forth (no other act since has achieved a feat as impressive). The Bends wasn’t expected by anyone: following Pablo Honey (Radiohead’s debut) few could have predicted what was coming next- bands do not go from Pablo Honey- a solid yet unspectacular album- to an epoch-defining work of wonder. I adore everything about the album: from its minor lapses (I’ll admit Planet Telex is an awful and poor opening track; the running order could be improved at the mid-way point) to its unbelievable highs, it is a perfect creation. Thom Yorke’s voice comes into its own: when operatic, it swoons and strikes the heavens; its sweet falsetto-laden moments are ethereal and transcendent- he can switch from an angry bite to an angelic croon (within the space of a line). The title track is a rampant and racing thing: vivid and image-filled, the song is among the band’s most urgent. High and Dry- disliked by Thom Yorke especially- has an infectious chorus and stunning vocal turn. Hard rockers My Iron Lung and Just showcases the band’s tightness and musicianship- the brutal honest of Bullet Proof…I Wish I Was. Completing its work with (the wondrous and deeply affecting) Street Spirit (Fade Out) and you have the album’s finest moment; a chilling and hugely nuanced work of genius. Thom Yorke- and his voice that inspired the like of Matt Bellamy and Tom Chaplin- is the star of the show. Formidable and commanding, it boasts such a huge emotional range: that force and beauty is not forced or unnatural; it sounds completely seamless throughout. So much urgency and spine-tingle, the Radiohead front-man turned each song into an exorcism. The entire band is tight throughout: Jonny Greenwood’s guitar work is especially staggering to behold. Filled with texture, passion and accomplishment, it is hard to believe (the ability he possesses). The songs not only stand the test of time; the album placed Radiohead on the music map; marked them as serious contenders- they were bolstered and inspired to create a tremendous follow-up. Radiohead were the ‘Britpop’ outsiders:: they were not cheery like Supergrass; not representing the youths’ voice (like Oasis and Blur)- they were the moody and independent spirits. Loners on a voyage, they did not need to fit into a mould; become part of any scene- their tremendous music surpassed everything else. For me, there is no better album ever created- nothing will come close to matching its legacy and quality. I shall finish off with my favourite musicians of the decade: the peerless and beautiful Jeff Buckley. I ‘discovered’ Buckley about ten years ago: having heard Hallelujah (via a live recording he performed in 1992) I was compelled to check out the American singer; delve into his back catalogue- see what he was about. When you look at Buckley you have to address the tragedy; his untimely demise (he drowned in 1997 aged 30) and his what-could-have-been mythology. Once you get back from that precipice- and concentrate on the man and his music- well… that is when you are seduced. What struck my hardest was that world-straddling voice: his lungs could belt out insane notes (beyond the capacity of human understanding); his immensely beautiful calm had feminine qualities- he is the epitome of the term ‘voice of an angel.’ Although Grace remains his sole studio album- there have been compilations and live recordings published- that is no minor feat. That album demonstrates everything that makes Buckley great: his personal and tender lyrics; that deeply emotive and dramatic voice; his quirkiness and humour- a personality that equaled his talent. Whilst Hallelujah remains his most famous song- few recordings are as transcendent and spine-tingling as this- Buckley’s original material is not to be overlooked. His tales of love and sweetheart loss stand apart from his peers: his lyrics are not cliché and humdrum; his poet and Dylan-esque insights. Just spend some time on YouTube; listen to all you can- just what he was capable of. Having fallen in love with the Live at Sin-e (double album); that best showcases his interpretative qualities: recorded at a New York café (in the early ‘90s) Buckley tackles the likes of Billie Holiday and Van Morrison; Leonard Cohen to Mile Davis. That goofiness and charm oozes out; the witty banter and rapport- the audience for the recordings must have been a dozen-or-so; that intimacy and special atmosphere led to some of his best performances. Armed with his guitar (and an adoring café crowd), Buckley seduced and enraptured- leaving jaws open. Radio interviews see the young man in a different light: that stunning intelligence and huge musical knowledge; his quirky and funny edges- someone you cannot help but adore. I never met Buckley yet feel a huge sadness (when thiking about his death): the manner of its happening is heartbreaking (he was on his back in the water of the Wolf River; relaxing and listening to Led Zeppelin; just him and a friend)-he wouldn’t have stood a change; he was sucked under the water without a fighting chance. You can’t change the past and change reality: all you can do is cherish what is left; be thankful for what was created- Buckley did not leave the world short-changed. One of the most influential singer-songwriters ever- so many modern artists are influenced by him- I loved that guy; the reason I am a music writer is because of him. He was shy and vulnerable- he suffered bipolar affective disorder- he was scarred and struggled; he gave love and compassion to so many- he deserved to be with us today. I just am thankful for all his music; those timeless performances- every word and thought he left on this planet. For me, Buckley represents what the 1990s was about: that freedom of expression and creativity; drinking in the diversity and multiculturalism of the music scene; the reciprocal warmth the crowds provided- the richest time for musicians to exist. We may never see anything approach the ‘90s- and all the phenomenal music it provided- that is not to say we should let it fade.